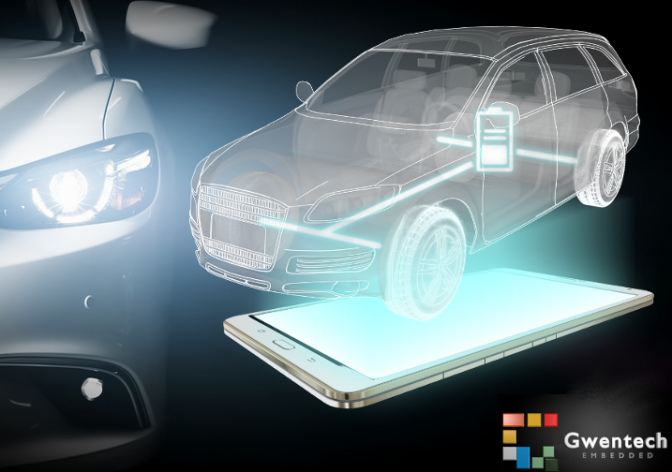 Showcase your automotive components using a high quality mobile app connected to your automotive CAN bus. 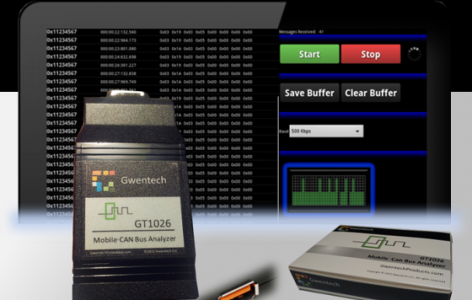 Gwentech can integrate a small wireless module into your auto as an interface to a custom mobile app that shows torque, speed, battery levels, drive modes, or anything else available to the ECU. SKU: customAutoAppSolution. Tags: Android CAN Bus, CAN Bus Android. Let Gwentech provide a custom automotive app to showcase the auto’s power system status, torque values, battery state of charge, or any other parameters of interest. We can develop a custom hardware-software solution by adapting our GT1026 or GT1027 CAN bus adapters to work seamlessly with a custom mobile app. We have years of experience creating this very solution for high-end integrators and automotive component suppliers. This is quickly becoming the new standard in proving your automotive component’s performance. With a few .dbc files and app sketches, we can provide a prototype app and wireless modules in a matter of weeks. To get started, start here, send us an email , or call us to discuss your needs. Communicate to a CAN bus via Android device using USB. Use the example app as a template the build your own app. Contact Gwentech for source code for the sample app seen on Google Play.